Debbie Cole has been an employee of the Ottawa Citizen since 1977. She remembers when the Citizen’s union, the Ottawa Newspaper Guild, was almost 400-members strong. That was a long time ago. These days, Cole, the president of ONG and a data analyst in the reader sales and service department, empties her trash and recycling bins into a communal repository because there aren’t enough building maintenance staff to clean individual desks. 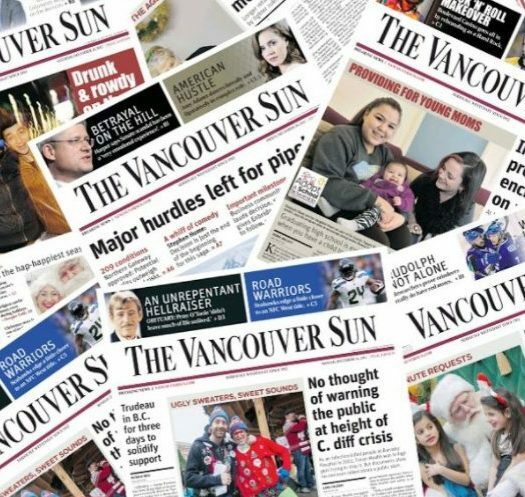 “If you look at the paper you can see the results (of cuts) … the lack of local reporting, the lack of all kinds of things that should be in the paper and aren’t there anymore,” Cole said. “We don’t see it, but those cuts have also happened in other departments.” The ONG unit which represents employees of the combined Ottawa Citizen and Ottawa Sun newsrooms has dwindled to under 70 members. 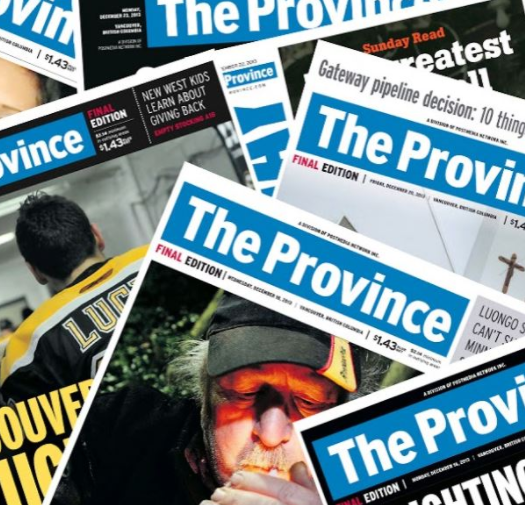 And now, after negotiations with Postmedia management, the ONG faces a vote on Sept. 9 for a new contract which, according to Cole, demands cuts to Citizen and Sun employee benefits and sick leave, and offers only a minimal raise to staff who haven’t had one in six years. If union members vote no, they are in a legal strike or lockout position – and if they go, the union local that represents staff at the Montreal Gazette will follow suit. After years of cuts, and facing an uncertain future, the union wants to take a stand. Cole said that through this, ONG members have still worked hard to bring people the news, even contributing free overtime. Yet, employees have not had a pay increase in six years — and the latest contract on the table did little to rectify that, only offering a .5 per cent pay increase in the last few months of the deal. Postmedia also wants ONG to adopt the “Common Plan” health and benefits package. This plan, which was imposed on non-unionized Postmedia staff in 2017, significantly reduces employee benefits and wages for extended periods of illness, according to Cole. It’s not just the Ottawa Citizen and Sun that will be affected by the results of this vote. The Montreal Newspaper Guild, which has suspended bargaining with Postmedia until after the results of ONG’s Sept. 9 vote, has agreed to coordinate with ONG. So if a strike date is set by the Ottawa union, Montreal’s will be on the picket lines the same day. The Sault Star is not yet in a legal strike position, but will be soon, and negotiations are on the horizon in Sudbury and Regina. “Whatever deal we get in Ottawa and Montreal will obviously have a strong effect on what happens at those other papers,” said O’Hanlon. Cole hopes that ONG strikes a deal similar to one struck by the union locals at the Windsor Star, where they were able to retain their original benefits package and not go on the Common Plan. And Cole said the union has told Postmedia at the table it would prefer to avoid a strike — but because it’s questionable whether the Citizen and Sun could survive a prolonged work stoppage. “Any of the money that they save, they are not investing in the paper; they are not making the product any better; they are not making customer service any better,” she said.